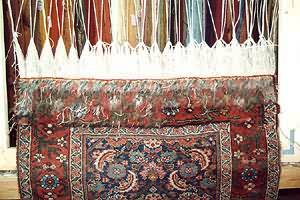 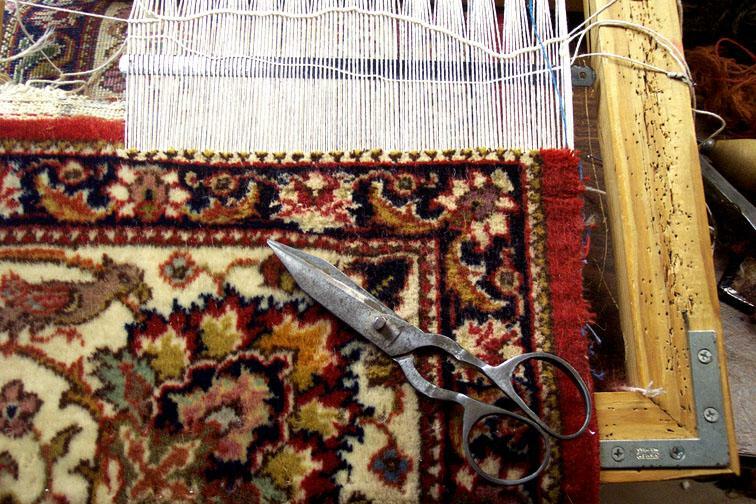 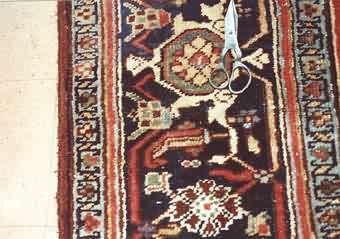 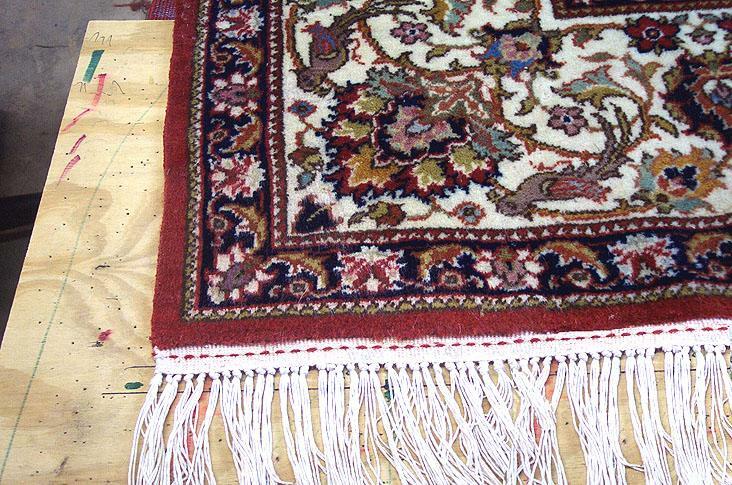 Expert rug repair and rug restorations. 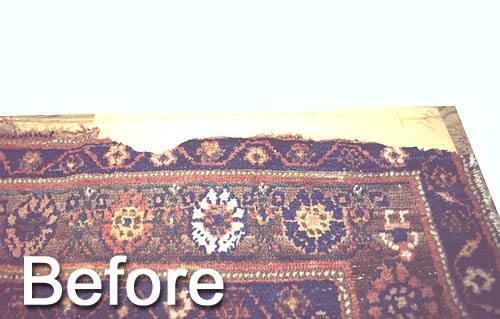 Your source for rug cleaning and rug repair in Atlanta,Alpharetta, Buckhead, Dunwoody, Duluth, Sandy Springs, Suwanee, and other cities. 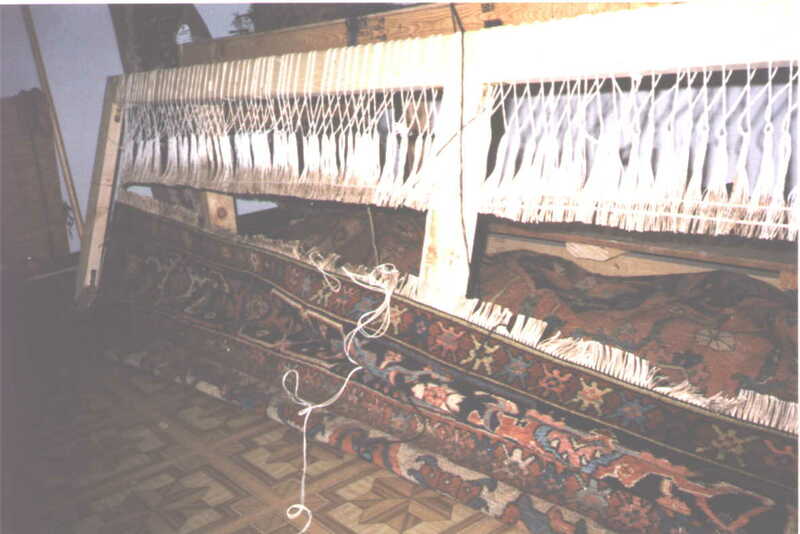 as loading of this page might take time. 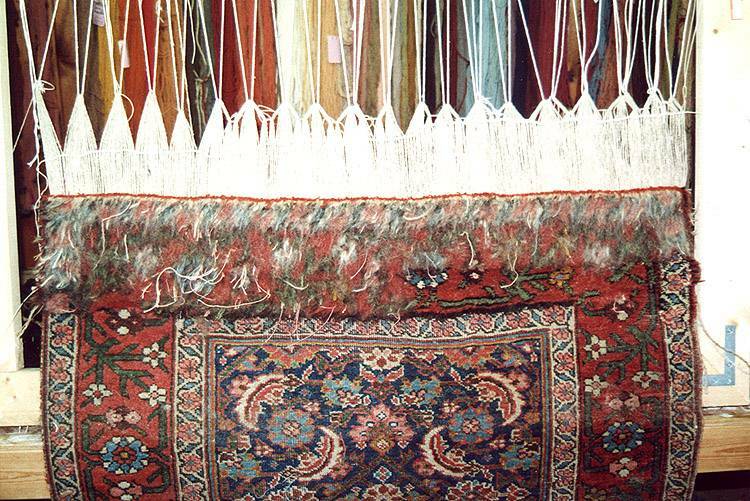 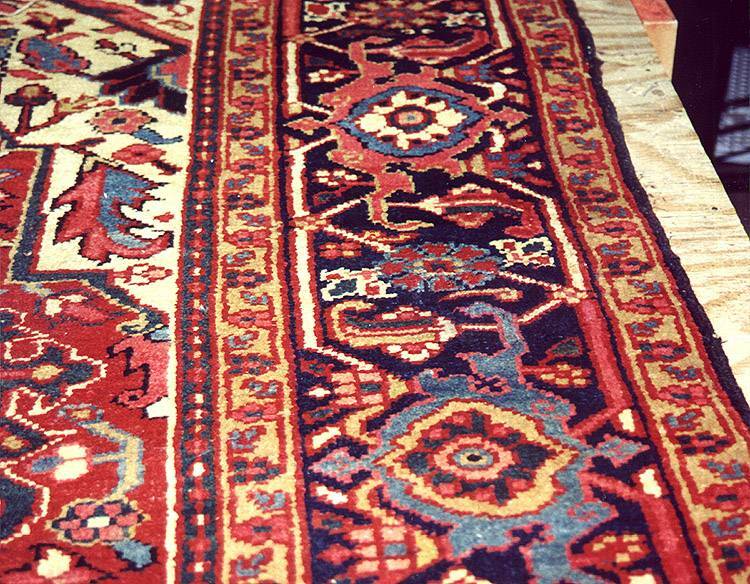 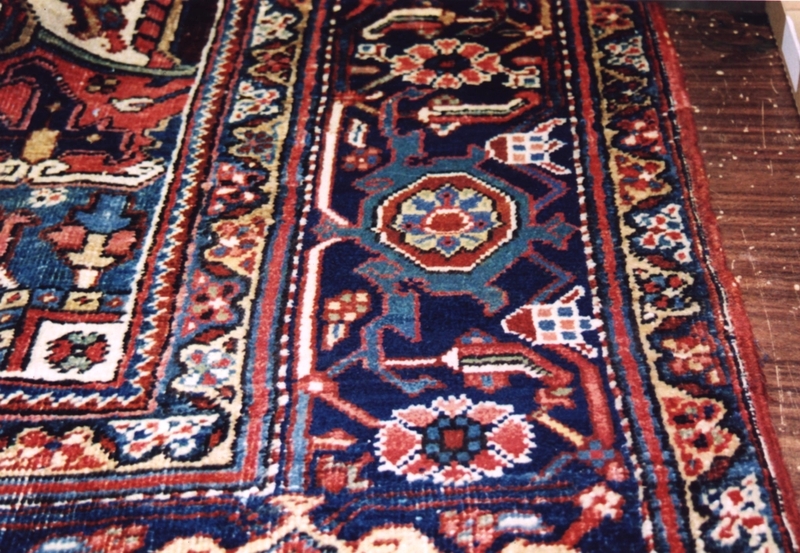 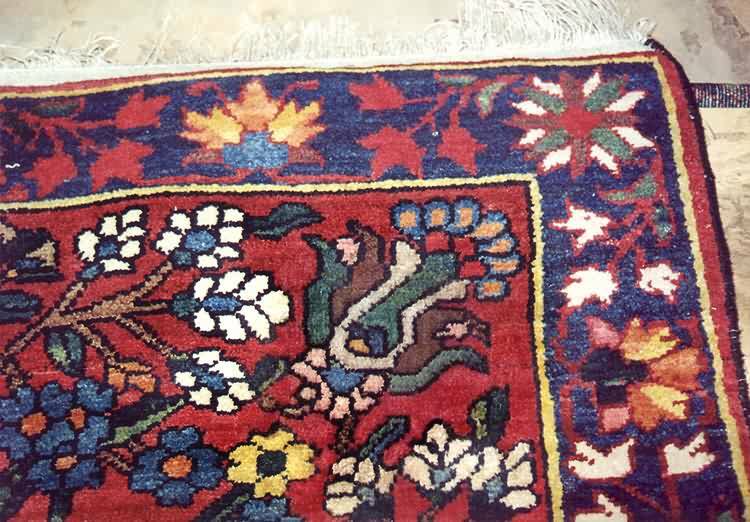 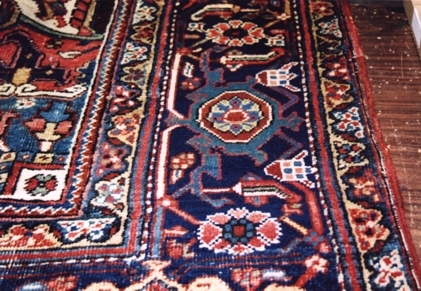 Persian Sarouk runner. 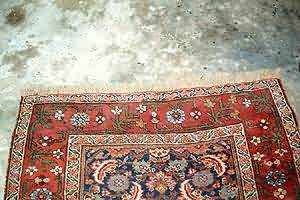 Very old with a big water rot. 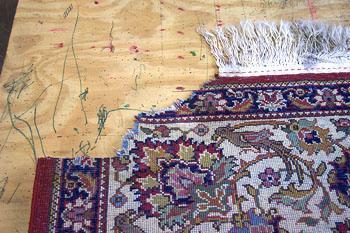 I had to remove a big area and reweave that area. 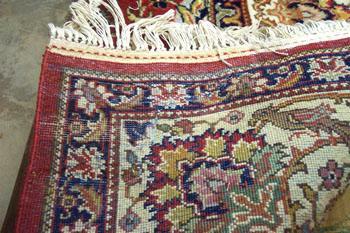 This was a very finely woven Persian Tabriz with severe water rot damage on one corner of the rug. I had to remove that section and reweave it. You see the picture of damage before, during, and after repair. 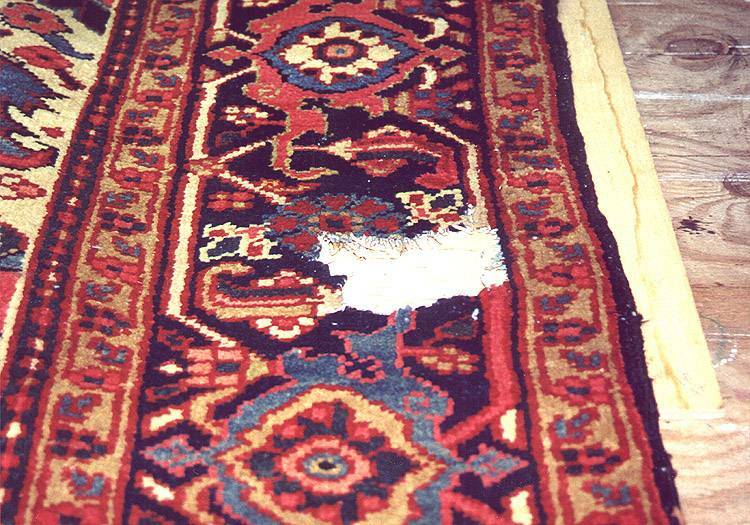 This was a large size Persian Heriz, which had lost a big chunk due to sever water rot. 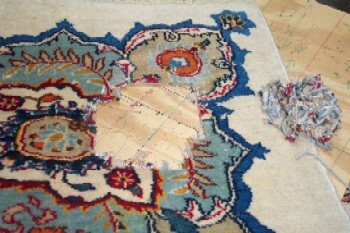 Entire area removed and everything rewoven. 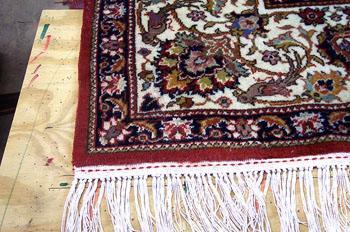 This was a very finely woven Persian Bakhtiari with water rot damage near one corner of the rug. 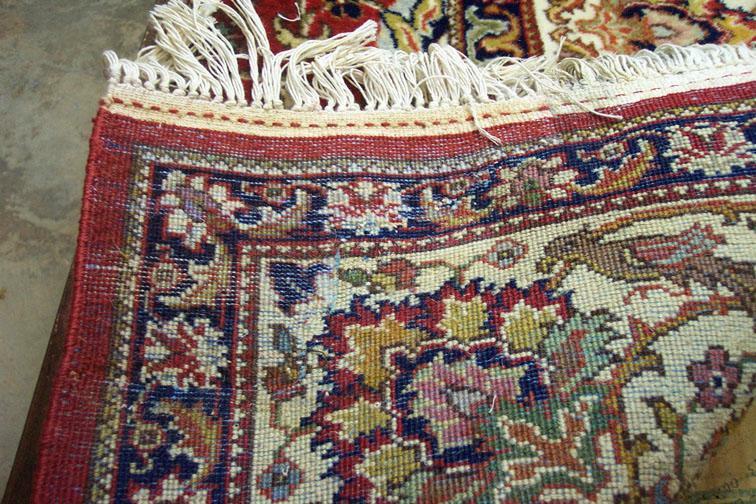 Old Persian Kerman, fine one. Corner was missing due to a water rot. You see pictures of original damage, after cutting the bad parts-notice how that area gets larger to get to workable margin- during repair and end picture. 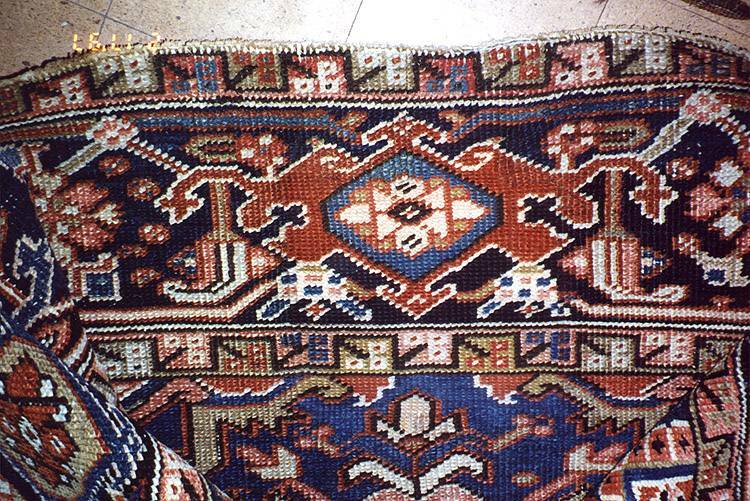 This was an old Persian Bijar runner . 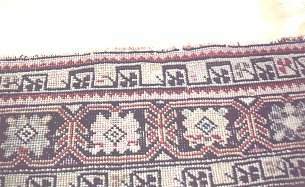 Border on one end was missing. 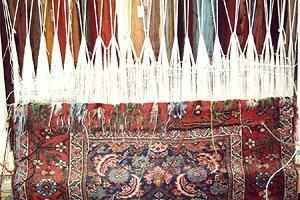 I made a loom on the end and wove back the border. 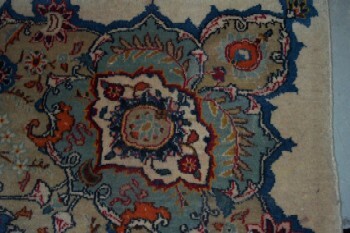 First two pictures during work. 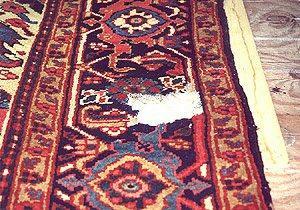 This old Persian Heriz had a large area of rot due to water leak from plant pot. 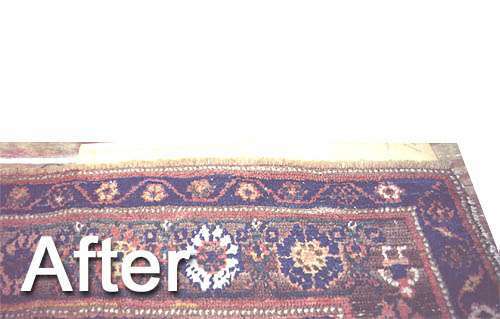 I removed all the rotten area and wove the missing design back. 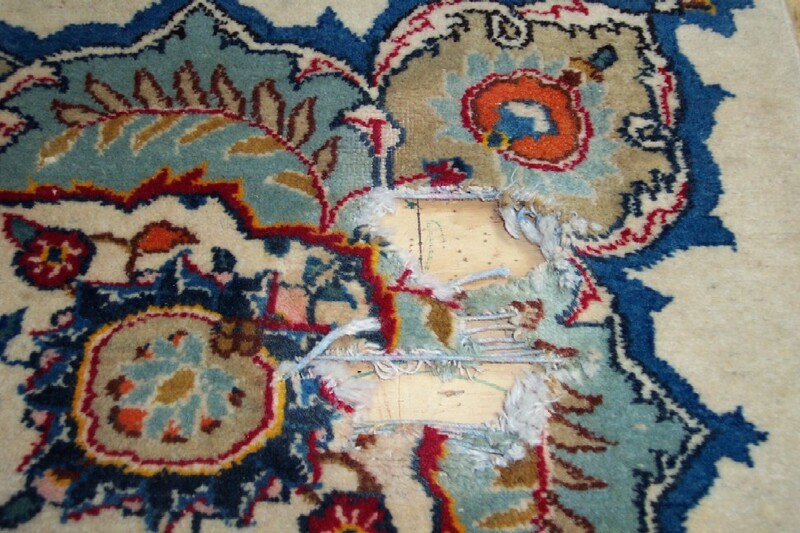 An antique Turkish Oushak rug with a big chunk -over 1 foot- of on corner lost due to water rot. 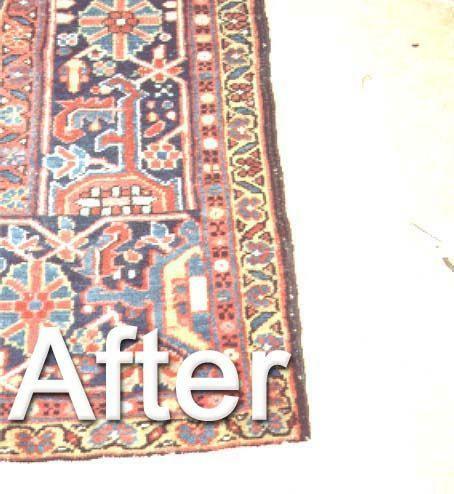 Before and after repair. 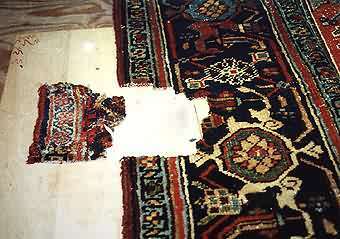 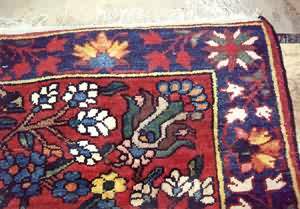 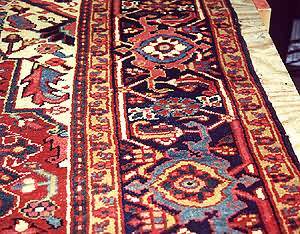 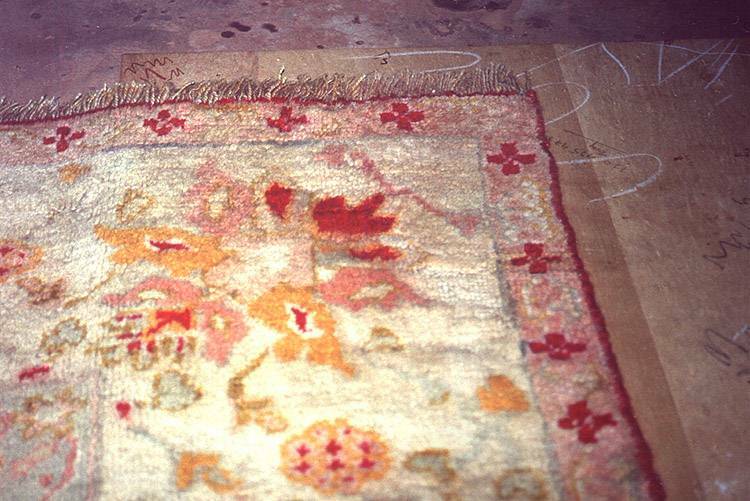 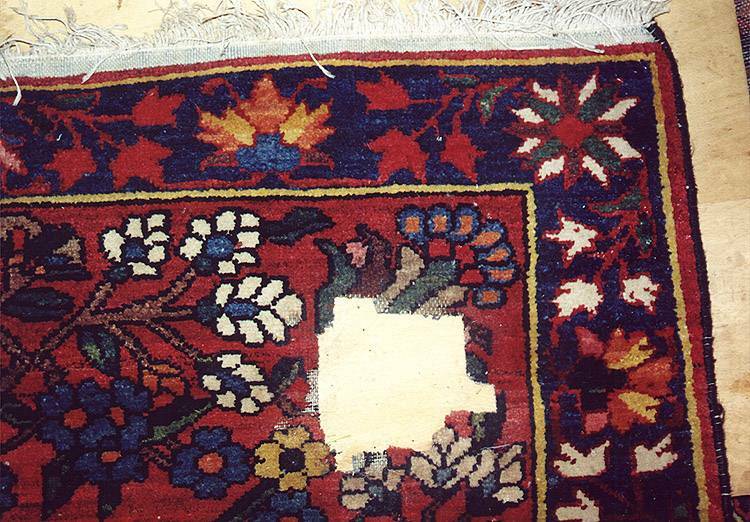 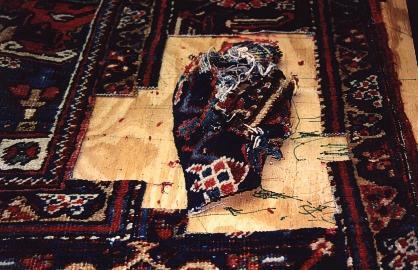 This is a picture of an old Persian Heriz with damage to side of the rug near one end. 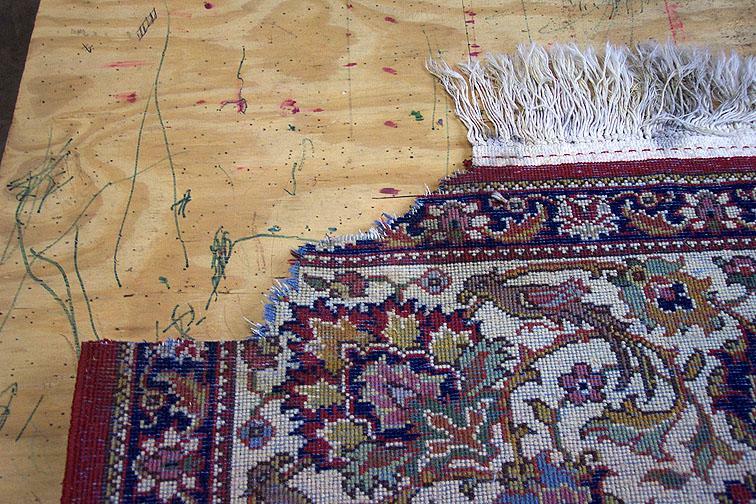 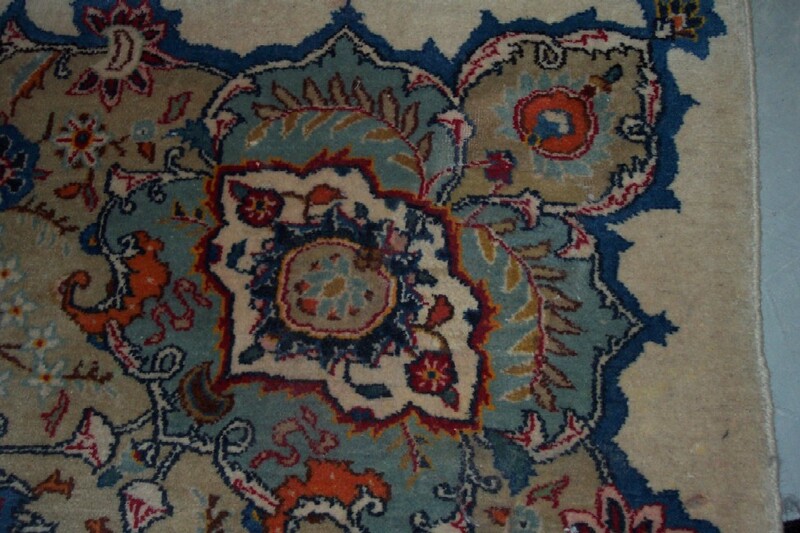 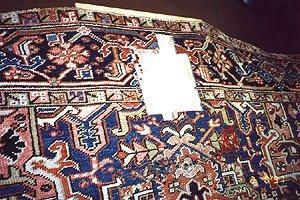 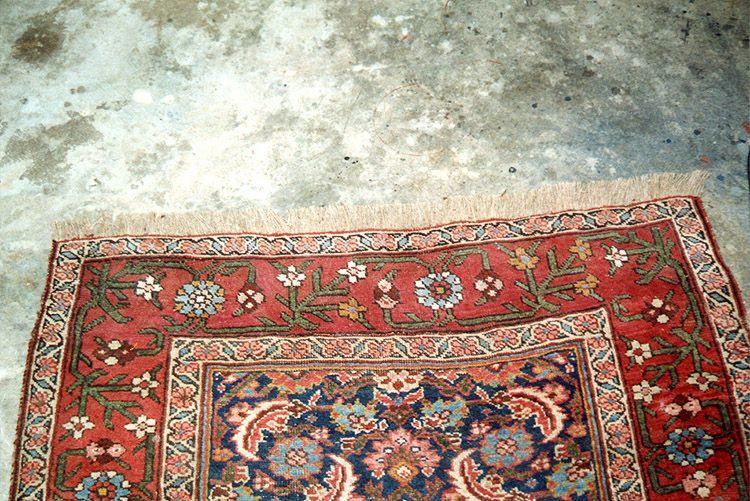 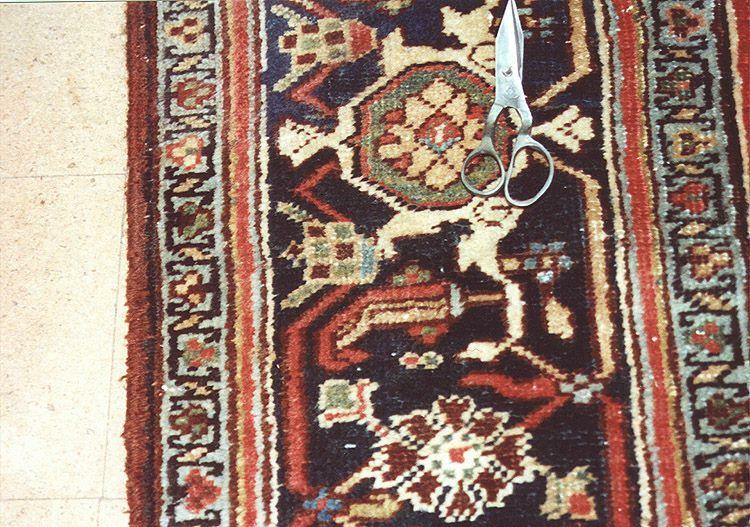 This is a picture of an old Persian Heriz with bad repair done to a water damage in one side border of the rug. 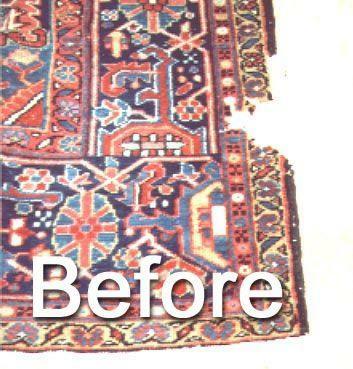 I had to remove all the bad repair and area around it. 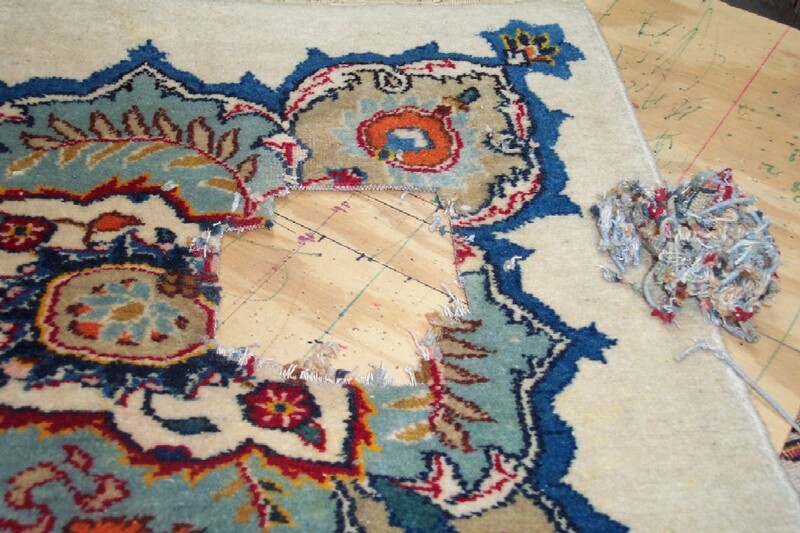 The area would have been much smaller if that previous repair was not done. 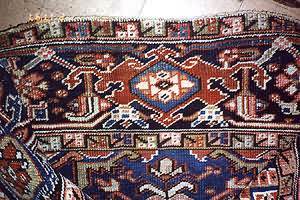 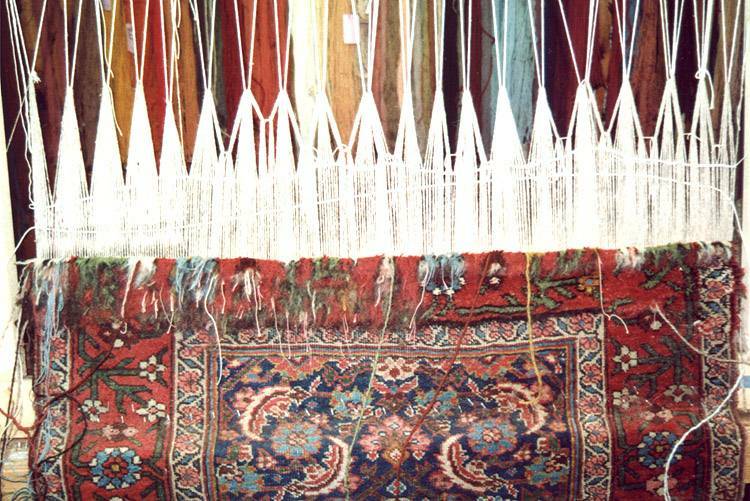 A Persian Kurdish rug with one end missing some of the weave. 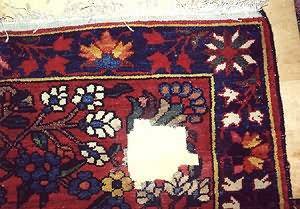 Another Persian Heriz with water damage in border. 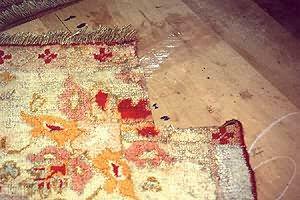 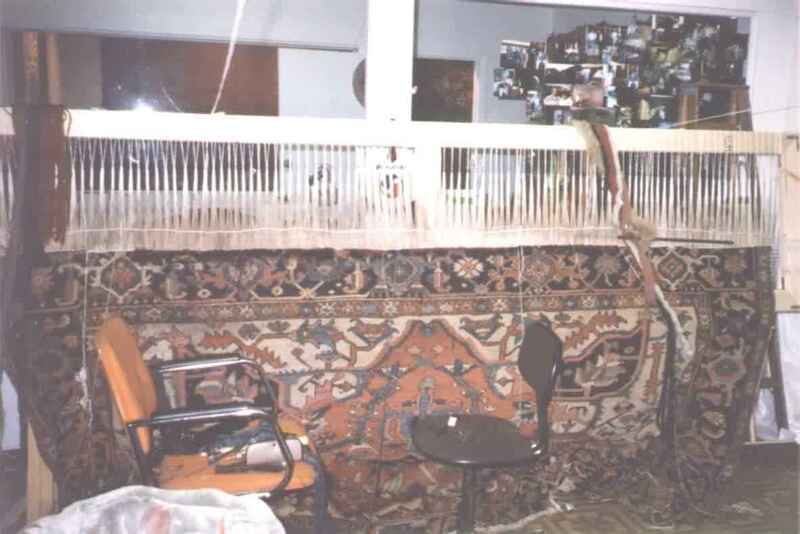 A Russian rug which had damage in middle of one end. 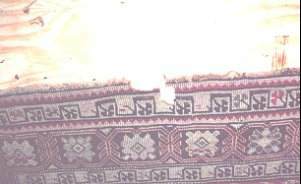 This was an antique Persian Serapi with end borders missing. 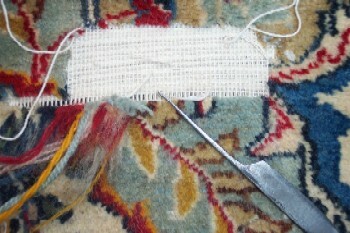 I made a loom to weave it back. 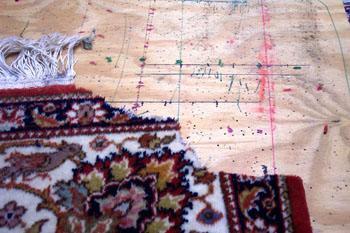 Regretfully I do not have close picture of it after finish.